During the summer, scorching temperatures can drastically impact your electricity bills. 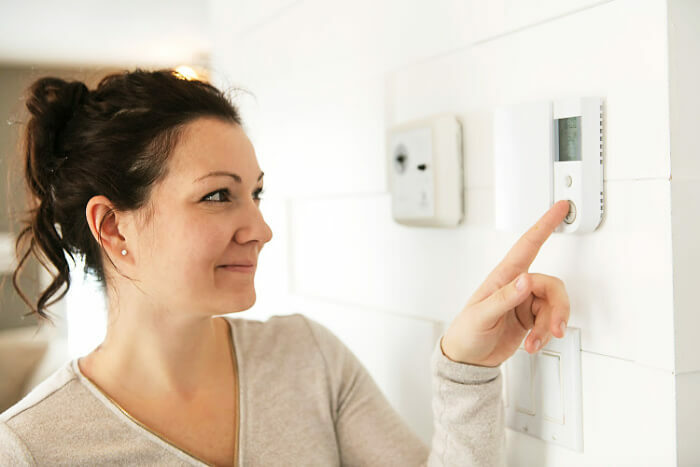 Fortunately, there are tips and tricks to help homeowners keep utility bills low, while still staying cool and comfortable in the summer heat. Below, we share 10 ways to cool your home efficiently. Keep Your Air Conditioner Clear, Too. Your air conditioner is the appliance that draws the most energy— to warm or cool your home. Making sure your AC unit is properly maintained will keep this core system running as efficiently as possible. Each season, take care to replace and clean your air filter. Clear your unit of any vegetation. Check the pilot light, and clear off the registers. Test the thermostat for proper functioning. At Modernize, we recommend homeowners schedule a yearly, or bi-annual, maintenance appointment with an air conditioning professional. They will help clean your system and ensure everything is running smoothly. While home, use ceiling and standing fans to help you feel more comfortable. During the summer, your ceiling fans should be set to operate counter-clockwise. An oscillating portable fan can also be used to help cool you down. During and after a shower, use your bathroom fan to help remove heat and humidity. This fan should be vented to the outside of your home to work efficiently. To keep your utility bill low, be sure to turn off all fans when you leave a room. According to EnergyStar.gov, 20 percent of the air that moves through a home’s duct system is lost due to leaks, holes, and poorly connected ducts. This causes high utility bills, and higher temperatures inside of your home. Sealed ducts (combined with proper attic insulation) can significantly improve the cooling efficiency in your home. Checking for, and repairing, leaks will also improve the overall performance of your air conditioner. Window leaks can occur when window seals are broken, or pulled away, due to aging or long-term weather exposure. Leaks allow air inside your home to escape, and also may allow drafts and rain to seep into your home. Your thermostat may be providing a false reading to your air conditioning system if it’s placed too close to a fireplace, lamp, or any other heat-producing object. This can cause your air conditioner to try to cool your home more than needed— causing your bill to rise. Make sure the area around your thermostat is clear to provide the most accurate reading. Just as you want to keep the area around your thermostat clear, make sure your air conditioning unit is not positioned in direct sunlight and plants are trimmed around it. Cooling an empty home is not efficient. Using a programmable thermostat can help regulate the temperature inside your home while you are out. Instead, automate the temperature of your home. Energy.gov shares that homeowners can save up to 10 percent on heating and cooling by adjusting a thermostat back 7-10 degrees for eight hours a day from its normal setting. During the summer, program your thermostat for the bulk of the day to a high temperature that is comfortable and ensures humidity control. Direct sunlight will also impact the comfort of your home. A home’s east and west facing windows will receive the most sun, and during the summer are at risk for high heat gain. 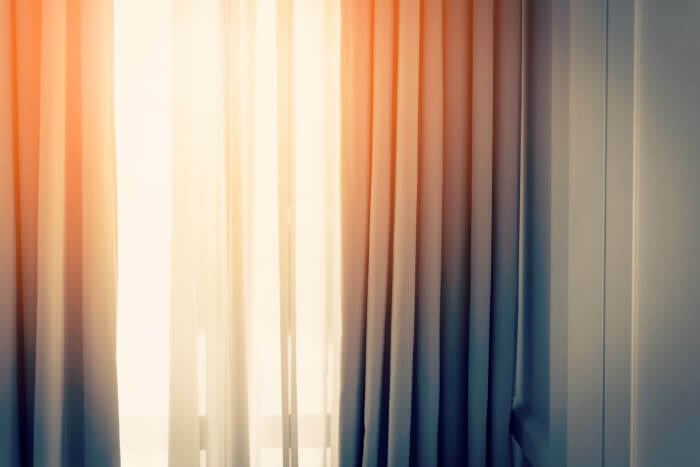 Drawn curtains and blinds can help keep your interior cool and comfortable. There are many options to fit your home’s style and preference, but it’s worth noting that Energy.gov reports that medium-colored draperies, with white-plastic backings, can reduce heat gains by 33 percent. If you don’t already have energy-efficient windows installed, consider adding insulated window films to your home. Homeowners have multiple film options which can help reduce heat gain, block ultraviolet rays, reduce glare, and improve privacy. Many options are available at home improvement stores like Home Depot and Lowe’s. You will see an immediate difference in your electric bill —and the comfort of your home— when you invest in updated, energy efficient appliances. AC units have energy efficient ratings to help homeowners select the best unit for their home. Air conditioners have both a Seasonal Energy Efficiency Ratio, or SEER, rating that notes the efficiency of the cooling system. The higher the SEER, the more efficient the system. The minimum standard SEER is 13 for air conditioners. They also have an Energy Efficiency Ratio, or EER. This rating is based on how a unit would react to an outside temperature of 95 degrees, an inside temperature of 80 degrees, and humidity of 50 percent. Energy. Gov also states that modern air conditioners use 30 to 50 percent less energy to produce the same amount of cooling as air conditioners made in the mid-1970s. You may save 20 to 40 percent of your cooling energy costs by replacing a 10+ year model with a newer, more efficient model. Energy efficient windows are designed to prevent your heated or cooled air from escaping from your home. These windows have increased insulation, which helps reduce your home’s energy usage and can help decrease your energy bill. When browsing window brands, look for windows that contain the Energy Star logo. This notes that the window meets a variety of energy efficient standards and restrictions. This summer, keep your home cool with the timeless tips above. When you’re ready to invest in energy efficient appliances, we can help.